The Motus Wildlife Tracking System is a collaborative research network that uses coordinated automated radio telemetry arrays to study movements of small animals. Motus is a program of Bird Studies Canada in partnership with Acadia University and collaborating researchers and organizations. Learn more about Motus. View a larger map with additional options here. Click here to learn more about Motus in the news. 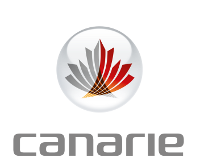 Motus recently received funding from CANARIE’s Research Software Program to support the integration of Cellular Tracking Technologies LifeTags ™ into Motus. A summary is available here, and more details will be announced as they become available. September 2018 – At the recent International Ornithological Congress Vancouver, cooperators presented 24 oral presentations or posters featuring research using Motus. A summary of these abstracts is available here. July 2018 – Powdermill Nature reserve will host a second Motus workshop from October 5th – 7th. Click here to register and view more information, or contact us. March 2018 – Motus used to study full life cycle of the critically endangered Kirtland’s Warbler. See Audubon article here and ace-eco paper here. February 2018 – Details on a significant update to the Motus website and RBook are available here. November 2017 – New paper published in Proceedings B: Body condition explains migratory performance of a long-distance migrant. Visit our publications page for more information. For a complete list of our supporters, click here.